A baby reaching full moon (1 month old) is a big occasion in the Chinese community. Normally, the parents will hold a celebration, and give out baby full moon gift set to family members and friends. 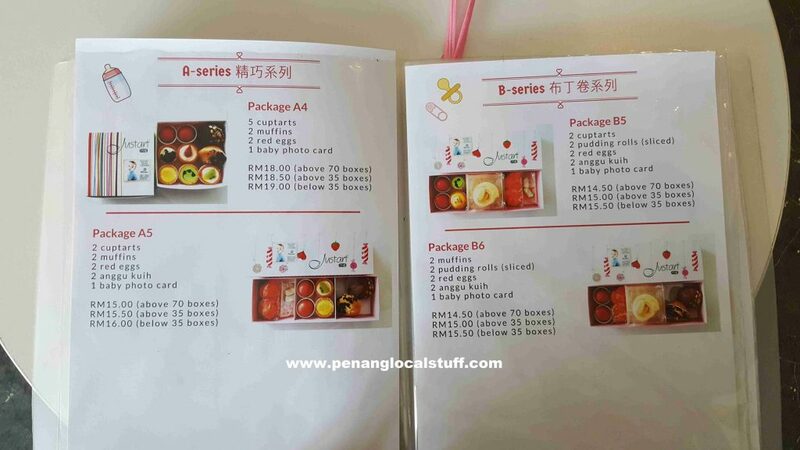 The traditional baby full moon gift set typically consists of anggu kuih, red eggs, turmeric glutinous rice and curry chicken. You can buy this kind of traditional baby full moon gift set from a shop like Eaton. Justart, a tart shop located at Krystal Point gives the baby full moon gift set a modern twist. 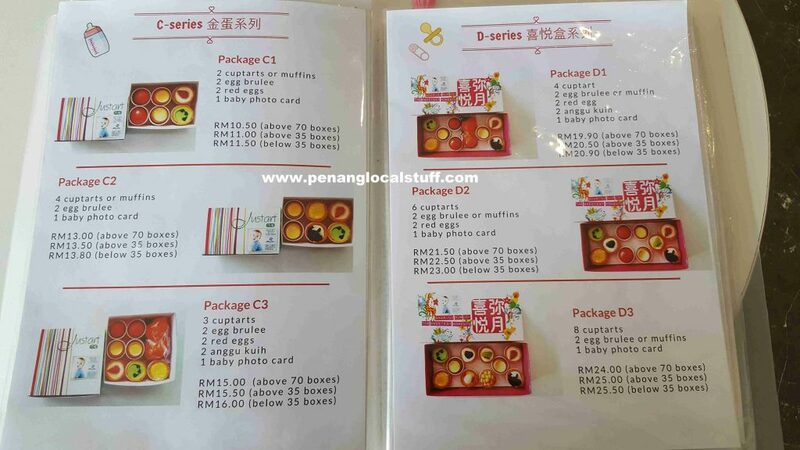 The baby full moon gift set from Justart features Western pastries like cup tarts, muffins, and chiffon cake, in addition to the traditional anggu kuih and red eggs. There is no glutinous rice or curry chicken though. The packaging is also reflective of modern Western style, with a baby photo card on each box, contrasting with the red box of a traditional baby full moon gift set. Justart’s baby full moon gift set packaging looks nice and cute. 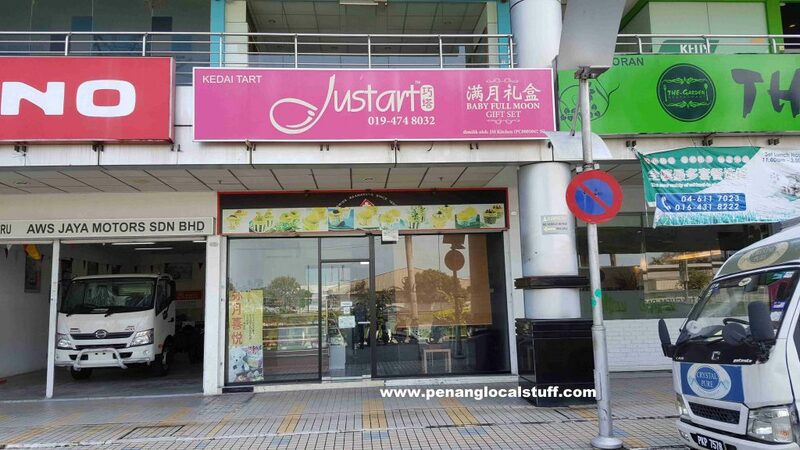 In addition to the baby full moon gift set, Justart also sells cup tarts (multiple flavors), Portuguese tart, snow yaki, Osaka chiffon cake, pineapple shortcakes, egg brulee, muffin, pudding roll, cookies, and moon cakes. Other shops in Penang selling baby full moon gift sets include Eaton Kuih Centre and Bread History.